I read this article and found it very interesting, thought it might be something for you. The article is called The Friday Jumpoff | “It’s the Most Wonderful Time…” and is located at https://www.thesouldynamic.com/the-friday-jumpoff-its-the-most-wonderful-time/. The 60’s. Political strife was rampant, our country was at war and the mannequin challenge was born. Sound familiar? Wait what? Truth.com,before we get into that though, Merry Christmas friends and family, 2016 was one hell of a ride! 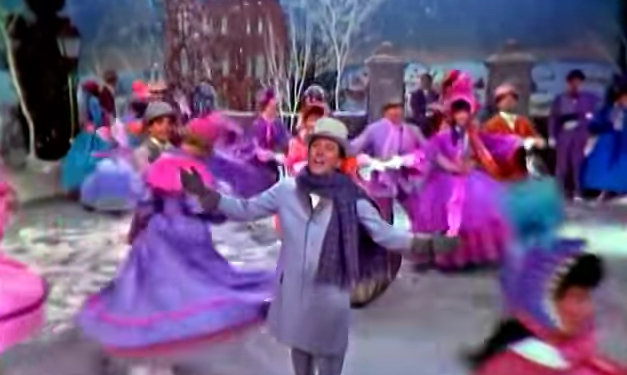 And in the season of yule logs, mistletoe and coquito (that’s Puerto Rican Eggnog y’all), we couldn’t help but point out that in a bizzaro world Willy Wonka twist – Williams, Andy launched the first mannequin challenge way back in the Winter of ’66. Oh, yeah. Seriously though, we want to wish you the happiest of holidays and we hope that you have a Merry Christmas!